A brick path winds between beds of wildflowers in Charleston’s Unitarian Universalist Churchyard, a part of the historic Gateway Walk. As a professional travel photographer discovering hidden gems such as the Garden Club of Charleston’s Gateway Walk are a favorite part of the job. 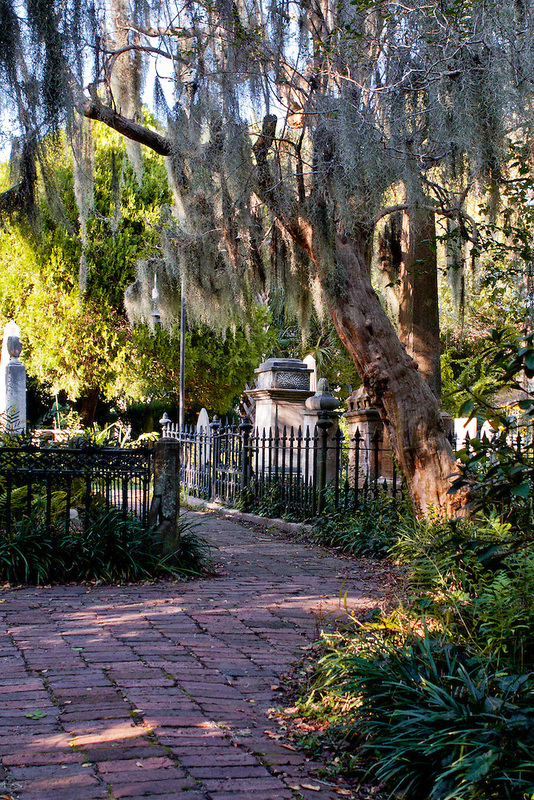 This peaceful, gorgeous meander takes one through several churchyards, and several hundred years of history in South Carolina. 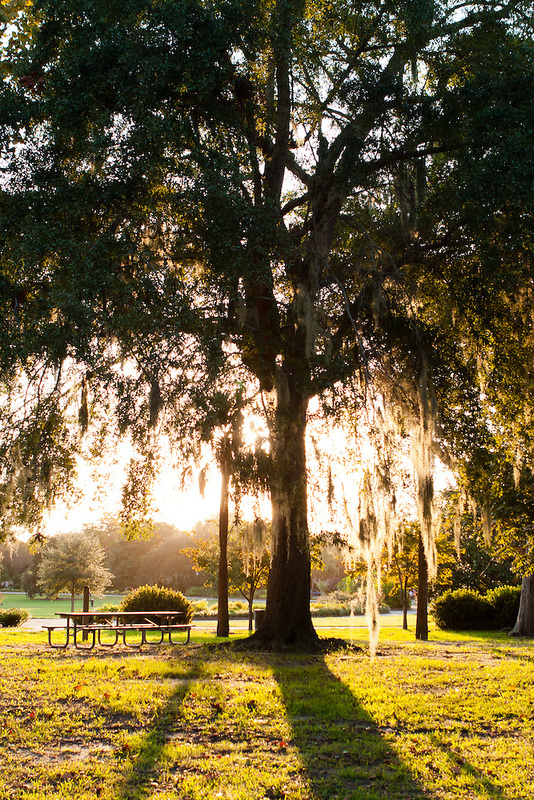 “While Charleston cannot boast as many oak-ringed parks as Savannah, the four-block Gateway Walk is just as beautiful, with a series of interconnected and semihidden gardens. 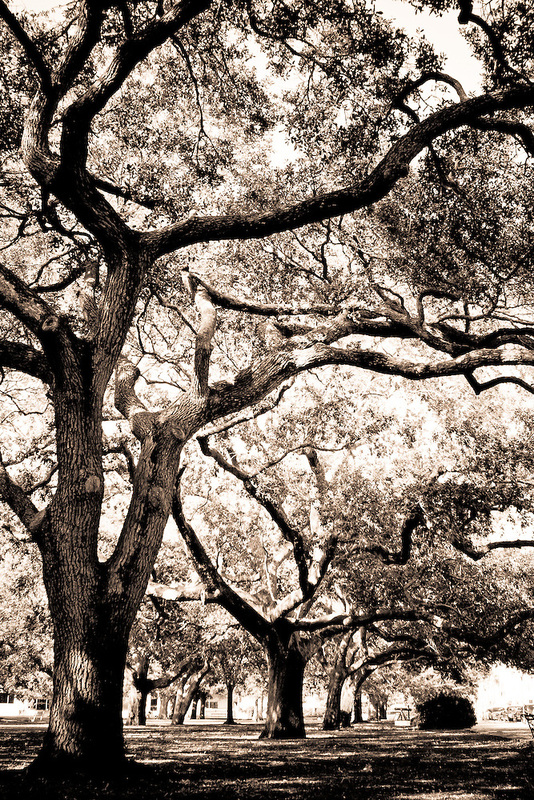 The walk is lined with moss-laden oaks and takes you past the city’s most historically significant churches.” – 36 Hours in Charleston, The New York Times. This is the first in a series of garden images capturing this beautiful stroll. 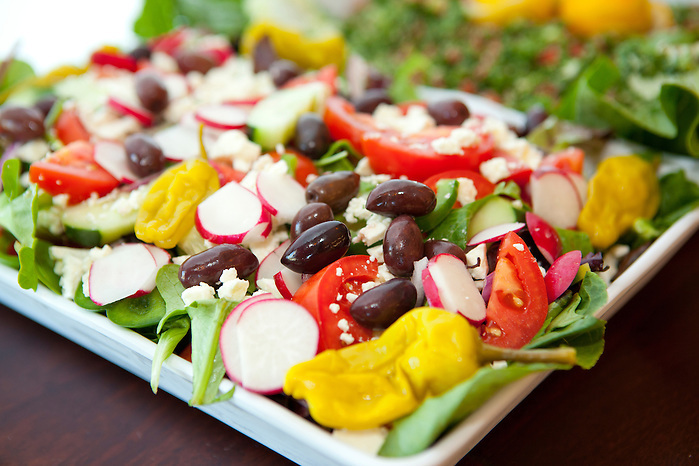 A guide to enjoying the walk firsthand is below, courtesy of The Garden Club of Charleston. The sun shines through a tree covered in spanish moss in Charleston’s historic Hampton Park. 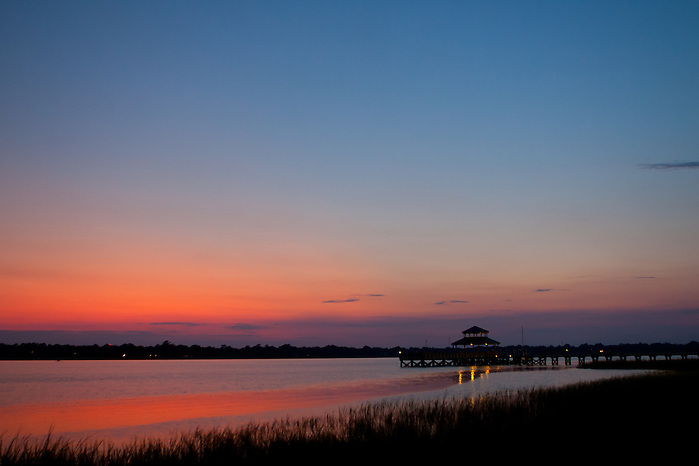 The sun sets over the Ashley River and the Brittlebank Park Fishing Pier in Charleston, South Carolina. 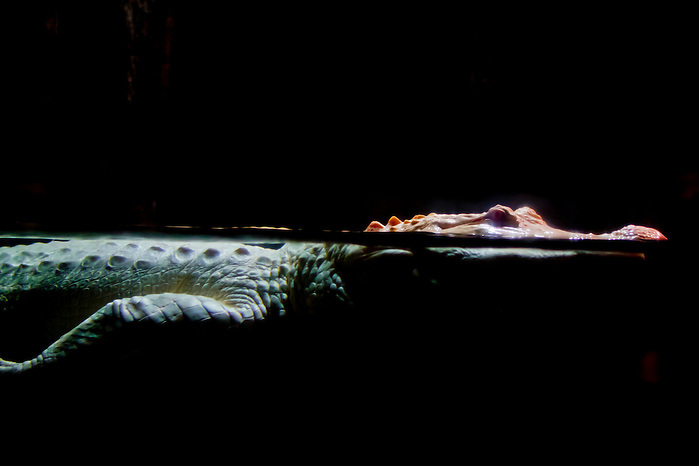 “Alabaster” a seven and-a-half foot long 92 pound Albino American Alligator swims in his tank at the Blackwater Swamp Exhibit in the South Carolina Aquarium. Did you know that alligators are a native predator species in the South Carolina Lowcountry? And that you can adopt Alabaster the Albino American Alligator? 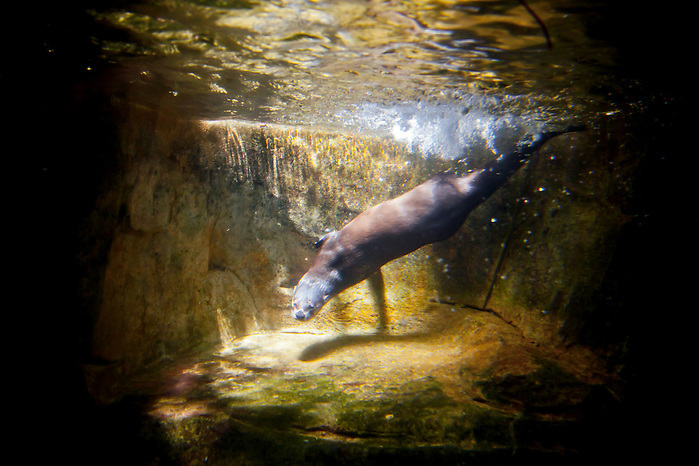 A North American River Otter swims through the sunlight in the Mountain Forest exhibit at the South Carolina Aquarium in Charleston, South Carolina. Fun Facts About the North American River Otter: They can swim up to 12 mph and can run 18 mph. Otters swimming beneath ice for long periods of time are known to use trapped air bubbles to continue to get oxygen. River otters close their nostrils and ears while underwater, and can hold their breath for about 4 minutes. The maximum known time for an otter to hold its breath is 8 minutes. Otters view their environment with a variety of senses, but their whiskers are very sensitive to physical sensations, and are important in hunting. Interested in supporting the South Carolina Aquarium? Become a volunteer or “adopt” an otter today. 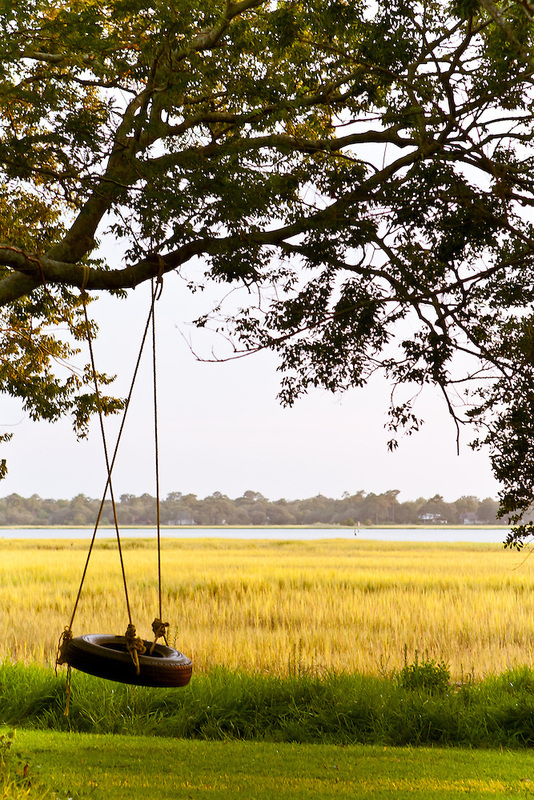 A lowcountry backyard sports a tire swing and prime view of the Ashley River in the Wagener Terrace neighborhood of Charleston, South Carolina.